A membership allows the subscriber to use all of our online resources, including Character Illustrations, quotes, stories, etc. (over 1,850 available now and growing! ), Lesson Plans and Intercom Insights (100 available now and growing!) for the specified time period. Click here to find out more about membership! Discover why teachers in every state and over 28 countries depend on our resources! Organized under thirty character traits, teachers can access abundant resources that appeal to their unique students. Topics range from Integrity and Conflict Resolution to Decision Making and Goal Setting. Choose from scores of full lesson plans, over 100 compelling people stories, hundreds of activities, quotes, and factual data. Use stories as "Intercom Insights" or incorporate them into your Life Skills or Character Education curriculum. Use Steven Spielberg's early experiences to teach empathy and self-esteem. Learn how Arnold Schwarzenegger and Albert Einstein profited from choosing the right friends and mentors. Keep students engaged with film clips, discussion starters, and activities. Want a lesson to cater specifically to your needs? We can often provide FREE custom lessons, sometimes within a week's notice. 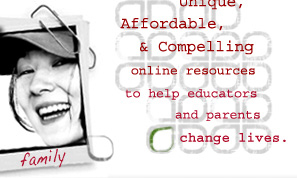 E-mail your request to webmaster@character-education.info to see how we might help. (Your custom lesson was) "FANTASTIC! PERFECT! I loved the comments at the end! I'm excited about this!" J. Steve Miller, Enjoy Your Money! How to Make It, Save It, Invest It and Give It. Hot off the press in 2009, this unique book entertains as it brings motivation, character and charity into personal money management. Lickona and Davidson, Smart & Good High Schools: Integrating Excellence and Ethics for Success in School, Work, and Beyond (A Report to the Nation) . How to transform your high school, drawn from an extensive study of schools that are making it happen. A must read! Buckingham and Coffman, First, Break All the Rules: What the World's Greatest Managers Do Differently . Based on the largest study of it's kind ever done - over 80,000 managers in 400 companies! The implications are critical for leading character ed, managing schools and managing families. Buckingham and Clifton, Now, Discover Your Strengths . A follow-up to the above book, the authors show how to identify and develop your strengths and talents. Could start a small revolution in "strength-based schools." Thomas Lickona, Educating for Character: How Our Schools Can Teach Respect and Responsibility . An international authority on moral development tells us clearly and practically how to do character education in the school setting. Our full lessons include illustrations, activities and discussions that grab students' attention and get them involved. See our collection of free articles and book chapters that may soon become the most comprehensive set of character education/ Life Skills articles available on the Web. Learn from other leaders' experiences with failure and success. Gather ideas from some of the top names in their fields. We're excited about our new resources for those teaching personal money management! Reviews on our money management text have been outstanding. We're developing free teacher resources (reviews of other money management books, lesson plans, stories, activities) in a special section of the site and offer free sample chapters of our text. As always, we treasure your input each step of the way. Find out what's new on our site! Use current events to reinforce character, such as NFL quarterbacks quarterbacks Colin Kaepernick, Drew Brees, Peyton Manning, or the remarkable comeback of Alex Smith. Enjoy stories on how John Lennon and Paul McCartney overcame poverty and other obstacles to find success. Discuss the life skills possessed by C.S. Lewis, author of the Chronicles of Narnia. Tell your students how George Lucas could have never produced Star Wars without certain character traits. The Spiderman Trilogy says so much about character! Use facts from the production of the wildly successful Lord of the Rings trilogy to teach diligence or overcoming life's obstacles. Albert Einstein is the most recognizable scientist in the world. You know his strengths, but do you know his weaknesses? What can they teach us about endurance and success? "What an AWESOME site! Thanks! I can't wait to show it to my staff. Keep up the great work!"